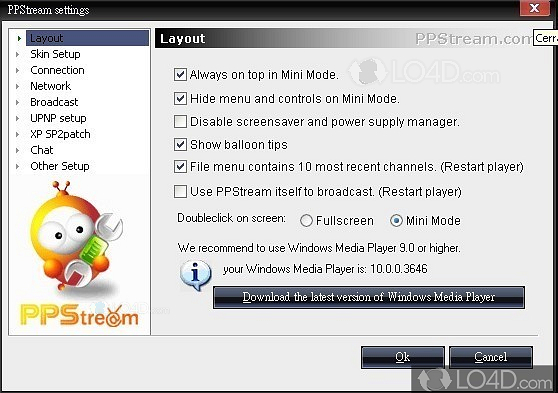 With the freeware online streaming program called PPStream, users can receive television via a peer-to-peer protocol. 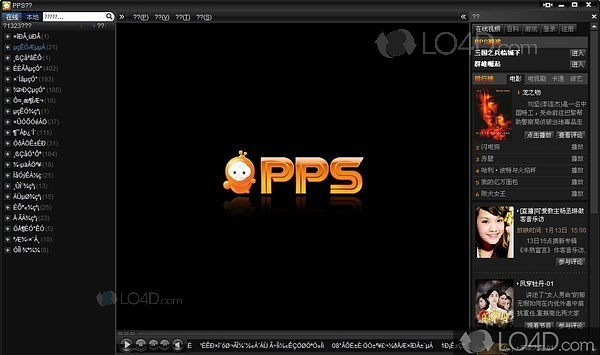 The main application of PPStream is divided into three sections which are arranged side by side. 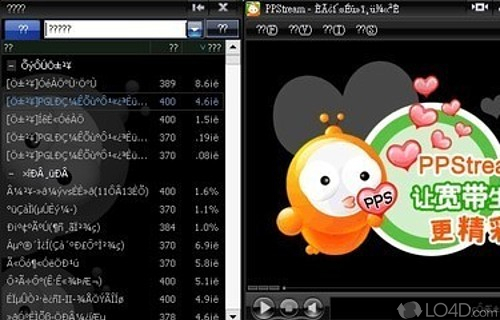 On the left side sits the channel list, with the right and center panes for the advertising and a player powered by Windows Media Player. Since the program interface is in Chinese, it can be rather difficult to find channels and it's pretty much a gamble as to whether you will find something worth watching. With that said, the quality of playback is generally very good and users should have a decent broadband connection. 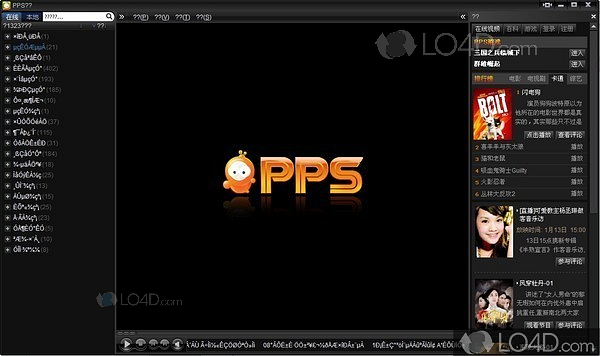 PPStream is software which can play online TV. PPStream is licensed as freeware for the Windows (32-bit and 64-bit) operating system / platform from internet tv software without restrictions. PPStream 5.1.9.1815 is available to all software users as a free download (Freeware). Compatibility with this software may vary, but will generally run fine under Microsoft Windows 10, 8, 8.1, 7, Vista and XP on either a 32-bit or 64-bit setup. A separate x64 version may be available from pps. This download is distributed as IQIYIsetup.exe. We have tested PPStream 5.1.9.1815 against malware with several different programs. We certify that this program is clean of viruses, malware and trojans.